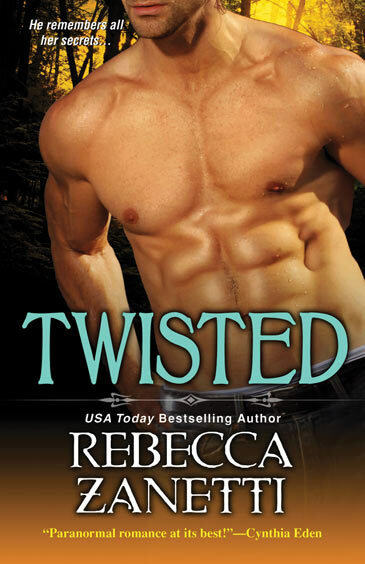 I spent a few days completely engrossed with the world Rebecca Zanetti has created with her Dark Protectors series and my emotions are tangled up: pleasure at a very satisfying climax and a bit of sadness that this is the end. We first met Janie as a very powerful four year old psychic who has been destined as the key to the future, sparking a frenzy within the supernatural realm with the demons, kurjans and vampires trying to capture her for various reasons. We watched her become more powerful as she got closer to fulfilling her fate. Her connections with Zane and Kalin were revealed in snippets throughout the series. In Marked, the story begins with the leaders of the various supernatural groups gathered for the peace talks and this is where Janie, Zane and Kalin meet for the first time in real life and where Zane’s identity is finally revealed – a vampire-demon! It’s also here that the peace that the realm has enjoyed for centuries comes to an end as conflicting agendas, deceptions and conspiracies are revealed and the war that has been foretold is set in motion. Janie’s fate is about to unfold, but Zane knows that whatever the outcome, Janie is his and he will keep her from sacrificing herself no matter the cost. Zane is very much cut from the same cloth as those before him: a prowling, dark, powerful and dominant warrior willing to fight to the death to protect his loved ones. Janie is a blend of strength, bravery, patience and sass and absolutely perfect for Zane. I loved that even with his caveman tendencies, Zane still recognized Janie’s strengths and let her take the lead in some situations. The plot was absolutely fantastic! Filled with twists and turns, the story went in directions I never anticipated and I could only hang on for the ride to the final destination – Happy-ever-afterville, but all our questions get answered. I really enjoyed the way the author blended science and supernatural abilities in her characters. The romance was very satisfying in every way. Janie has been in love with dream-world Zane her whole life, but now she gets to know and love Zane for who he really is. I also loved the way the characters bonded together as a large family. The glimpses into the futures of the couples at the end was a satisfying conclusion to the series. 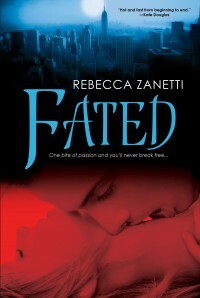 With Marked, Ms. Zanetti has skillfully wrapped up an enthralling tale of destiny, bonds of love, family and friendship. My recommendation: even though Marked can be read as a standalone, the entire series should be read in order, to fully appreciate it.